WO CHOIRS of note are coming on tour through the United States in the coming month. First is the Cappella Musicale Pontificia Sistina, and second will be the Schola Cantorum of the London Oratory School. 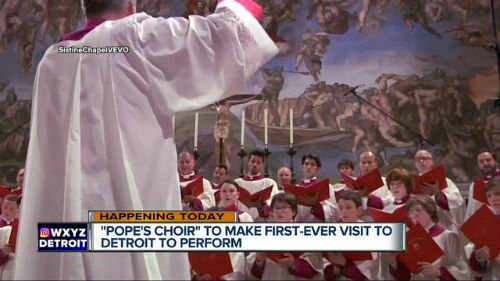 Commonly known as the “Pope’s choir,” the 30 boys and 22 men of the Sistine Chapel ensemble will sing in three American cities. Dating back to the 7th century, the Sistine Chapel choir holds the distinction of being the oldest choir in the world. This will be their first tour in the United States in more than 30 years. More information about their tour is available here. The boys choir from Brompton Oratory in London consists of singers aged 8 to 18 who sing weekly Mass, in addition to school Masses and services, as well as a robust program of concerts and touring. They performed magnificently at a concert during Sacra Liturgia UK in 2016. 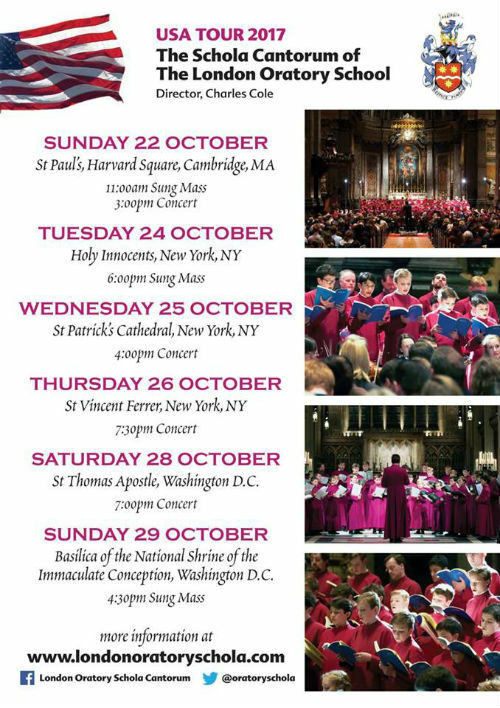 Under the direction of Charles Cole, the London Oratory Schola has five scheduled engagements during their USA Tour 2017, including three Masses and two concerts. More information about the London Oratory Schola and their special United States tour is available here. I look forward to hearing both of these distinguished choirs sing when they pass through the nation’s capital!